The historic, landmark Brooklyn Heights Promenade may be in need of repair, but not as urgently as the beleaguered BQE. 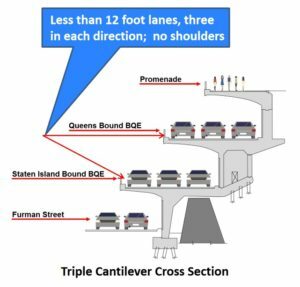 In the ’40s when the BQE cantilever was conceived, no one anticipated the heavy truck traffic that would come decades later from a toll-free entry via the Verrazzano. 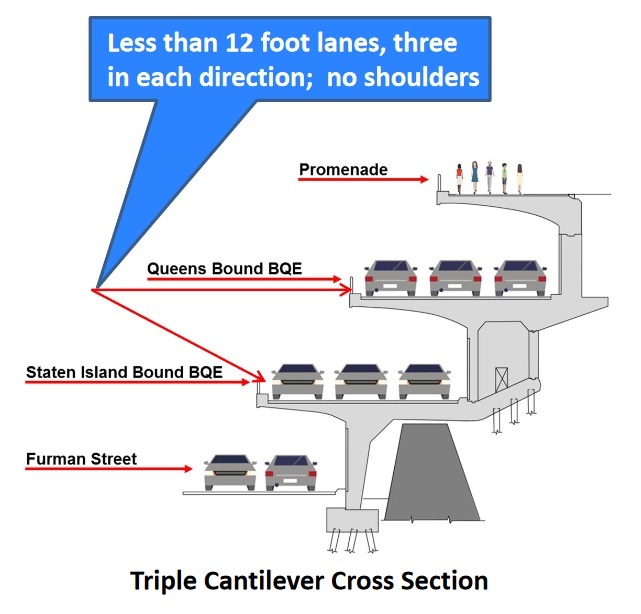 Even opponents of the city’s DOT (Department of Transportation) plan say there are some really smart engineers working there. Let them figure out how to separate the Promenade, shore it up, and leave the Park Department to cope with repair in the ensuing years. Brooklyn Heights would definitely get behind Parks on this one. And they are already resolved to face upheaval of some sort on the Heights’ western edge anyway. Recent health reports and revelations show that Highway in the Sky to be downright dangerous. 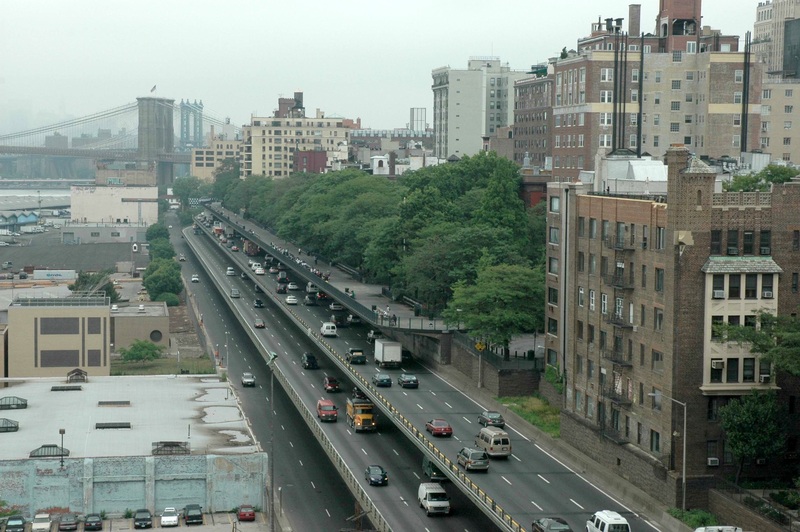 So DOT and Brooklyn Bridge Park Corp. can work out a plan for diverted traffic closer to sea level, with additional heavy, carbon-absorbing foliage. It’s an abhorrent idea that Brooklyn Bridge Park would attempt to avoid any repercussions while watching the landmark Promenade summarily destroyed. The Promenade should be protected and separated out as a City Parks Department project. Some Thoughts on History, And An ‘Unthinkable’ Modest Proposal A 1907 Brooklyn March: Other Music Time Forgot: Featured to Raise Funds for Promenade Gardens Sonorous tones, hokey songs all to Help Promenade Gardens Howe’s Brooklyn: Downtown Community Leaders Announce Plans: Big Business, Streetscape Overhaul, Dog Run?